← Is your child ready for a smart phone? I always joke (tongue-in-cheek) that “everything I needed to know about parenting I learned at puppy class”. That might sound a bit funny to you. And I in no way want to imply that the complexity of caring for and loving a baby is the same as caring for and loving a dog, but there are some remarkable similarities in strategies for managing behaviour. We got our first dog – a beautiful golden retriever – before we had our first baby. We planned on having kids so wanted to be sure our new dog was well trained before we added kids to the mix. So the puppy classes and our learning began. Here are just a few words of wisdom the dog trainer had for us. Keep a routine: Dogs thrive on routines. Turns out so do kids! A regular predictable routine can go a long way to create a sense of safety and security. 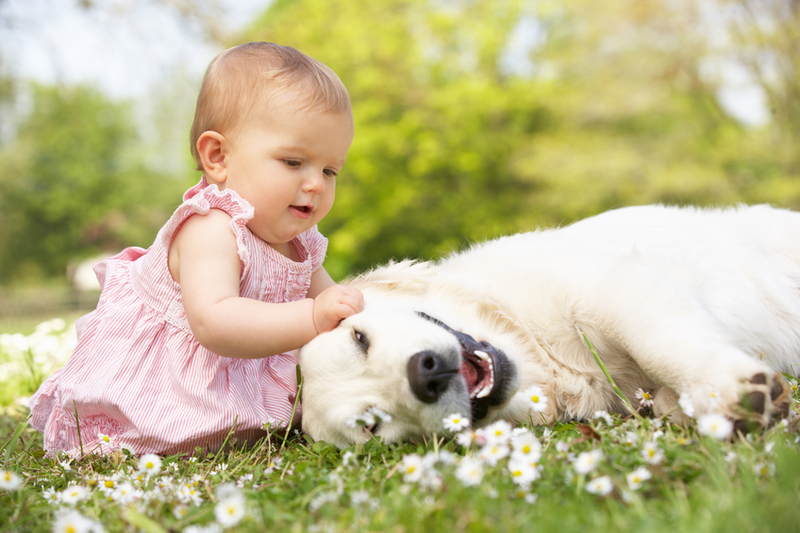 When dogs and kids know what to expect, they tend to be happier and more confident. Use positive reinforcement: Dogs love praise and your attention for their good behaviour. If you pay attention to your dog when they do something you like, they get the message that you want them to keep up with this behaviour. Well, kids love to be recognized for the good things they are doing too! Whether it is as simple as putting their shoes in the closet or making their bed, when you notice and praise something your child has done, they are more likely to repeat that behaviour. Plus their beaming proud faces can’t help but make you smile too! Set rules and limits: When dogs know what the rules are and what you want them to do, they tend to follow along. Dogs have an innate desire to please their owners. Believe it or not, your kids want to please you too. When the rules are clear and your kids know what behaviour is expected of them, they are much more likely to cooperate. Of course everyone makes mistakes while they are learning, so it’s important to be realistic with your expectations and do your best to be consistent. 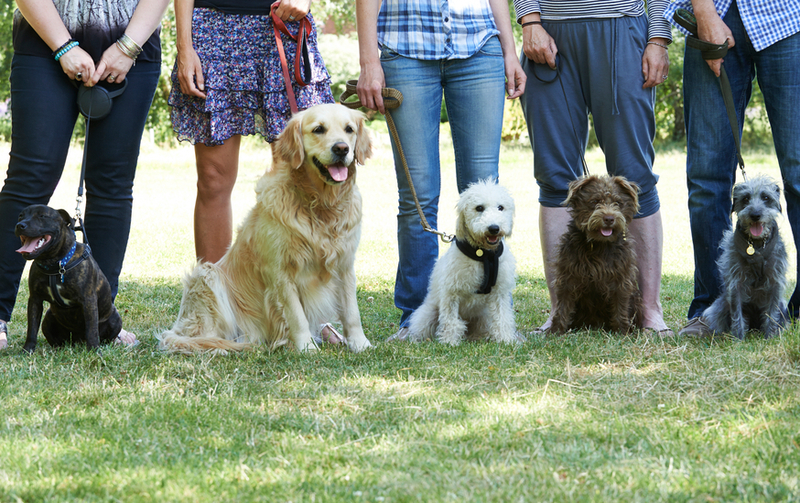 Play outside and have lots of interesting things to do: One of the key messages the dog trainer shared with us is a dog who gets lots of exercise, time with their owner and has toys to keep themselves busy, is a well behaved dog. My experience parenting was very similar. When my kids had lots of time outside to play and burn off their energy, things just ran smoother during our day. In the house, I made sure the kids had interesting things to play with and create. If we didn’t get our bodies and brains moving, things could melt down pretty fast. And of course some time with Mom and Dad to just play was the most treasured by the kids. One of the best solutions for accomplishing all this was taking the dog for a walk with the kids. It was win-win! My kids were teens when we got a second dog. The whole family went to puppy classes with him so we could all learn to be great dog owners and to be on the same page. It got me thinking, we should treat parenting classes like this. Parenting is an important job and it’s hard at times. So why not take a parenting class? Join us to have a few laughs and get some support. We would love to connect with you! This entry was posted in Children & Tweens, Emotional Well-Being & Mental Health for Your Child/Tween, Keeping Your Child/Tween Safe, Keeping Your Toddler & Preschooler Safe, Parenting, Parenting Your Child/Tween, Parenting Your Toddler & Preschooler, Play, Growth & Development, Toddlers & Preschoolers and tagged dog, dog training, family pet, parenting classes, parenting support, preschoolers, puppy classes. Bookmark the permalink. Thanks Karen, this makes such good sense. I just shared it with my Acton Prenatal Nutrition group – and the moms of babies aged 5 months, 6 months, and 7 weeks agreed with your points! Especially creating a routine and getting babies outside for play and seeing interesting things. Thanks so much for sharing the blog Janet! Love to hear that your mom group agreed and is using the strategies already ! !